If you want a great fighting action movie look no further than Warrior. The acting is really good. Tom Hardy is back to his nasty self like in Branson and Joel Edgerton gives another great performance akin to the one he gave in animal kingdom. Nick Nolte is even back to his best. All together this is well worth a look for all MMA fight fans and all action movie fans in general. Warrior stars Tom Hardy (Inception, The Dark Knight Rises) and Joel Edgerton (The Thing). 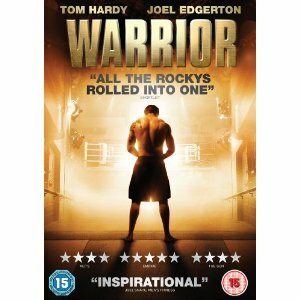 An inspirational and exhilarating rollercoaster of a film, Warrior centres around Tommy (Hardy) – an ex marine haunted by a tragic past, who enlists the help of his estranged father (Nick Nolte) to train up for the fight of his life. A former wrestling prodigy, Tommy blazes a path towards SPARTA – the biggest ‘winner takes all’ Mixed Martial Arts event in history. His brother, Brendan (Joel Edgerton), an ex-fighter-turned teacher, also returns to the ring in a desperate bid to save his family from financial ruin. So when Brendan’s unlikely underdog rise sets him on a collision course with the unstoppable Tommy, the two brothers must finally confront each other – and the forces that pulled them apart – in the ultimate face off. – click here to read more.